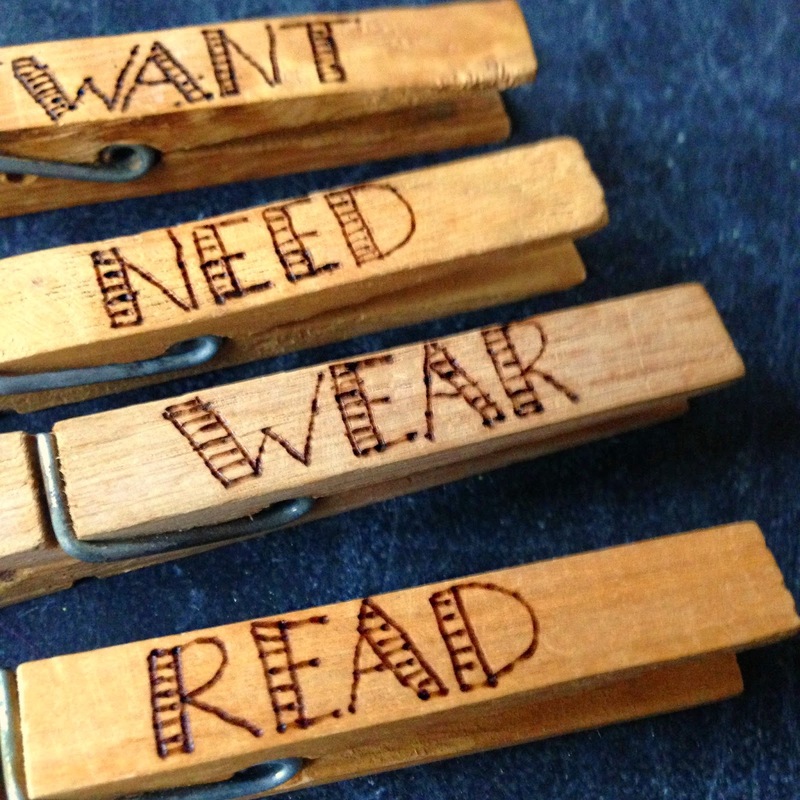 Six years ago I purchased some awesome wooden tags to commemorate my first go at the Want/Need/Wear/Read gift plan. They are laser printed tags, reusable every year, & I love them. 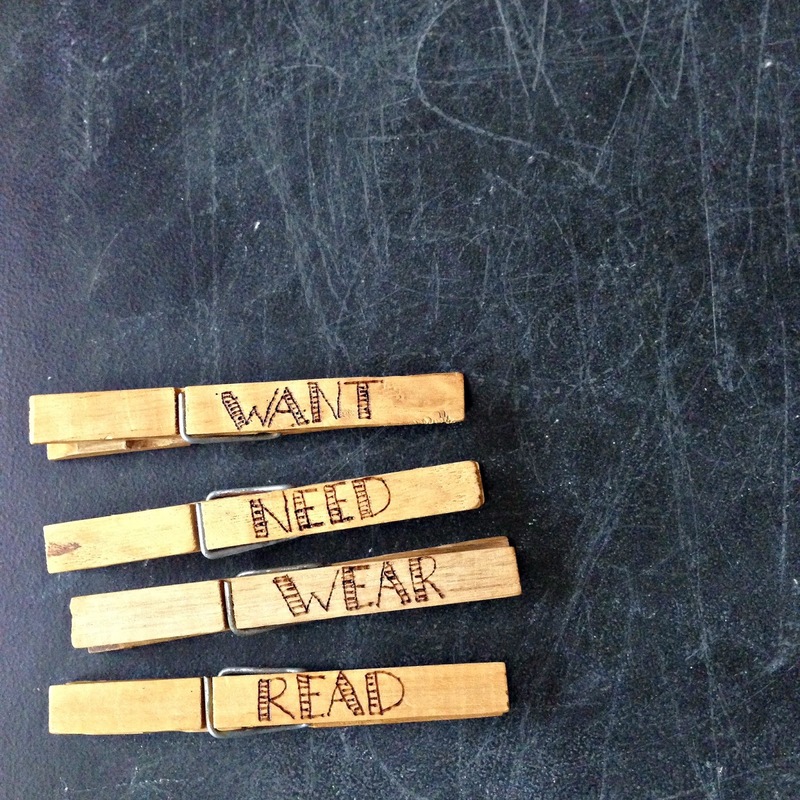 Have you heard of Want/Need/Wear/Read? It's basically a way to simplify gift giving to your children. 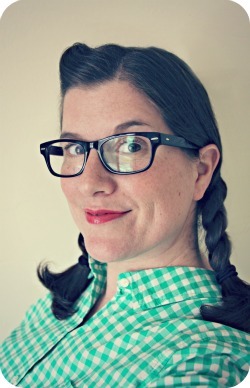 Give them something they WANT, something they NEED, something to WEAR, & something to READ. And it has changed our Christmases forever. Like I said, we've been doing this for six years. At first, I was afraid the girls would be upset. But they weren't. Of course there was the initial shock & dumbfounded look in their eyes. But that quickly wore off. And now the girls really like it. It makes shopping more fun & meaningful. And I never find myself falling into the trap anymore of having to buy one more gift for so-&-so to even out the score. Anyway, I have had TONS of people ask where to get those tags. Unfortunately the seller no longer makes them. 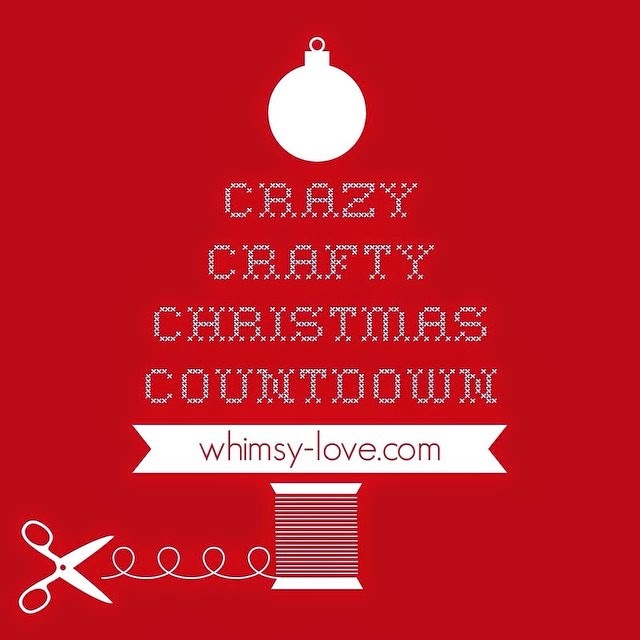 When I had my wood-burning tool out the other day, crafting up the spool ornaments, a clothespin fell in front of me as I was digging around in my craft supplies. And that's when today's project idea popped into my head. The supplies are simple: a wood burning tool (which I purchased for about $15) & some wooden clothespins. 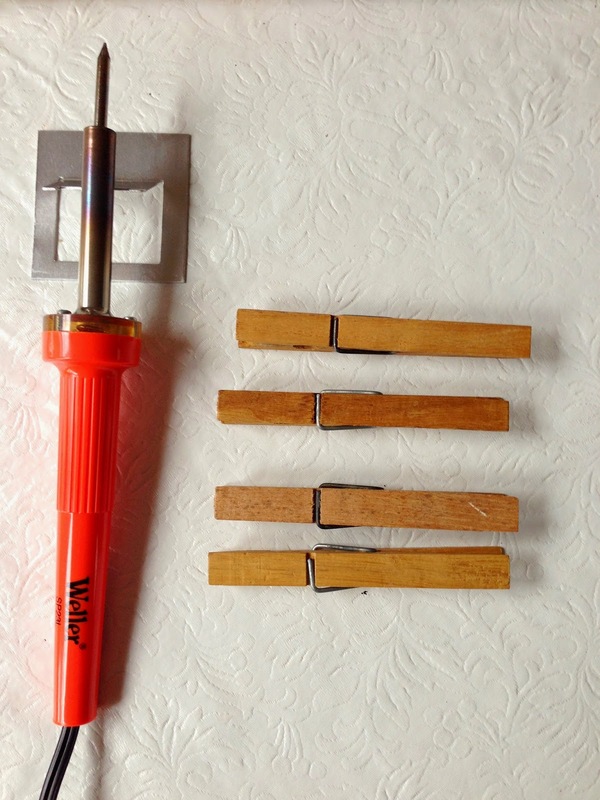 Before you attempt to burn the clothespins, practice using the wood burning tool on a scrap piece of wood. If you want, write out the words with a pencil, before burning. HERE is a helpful little video about wood burning. 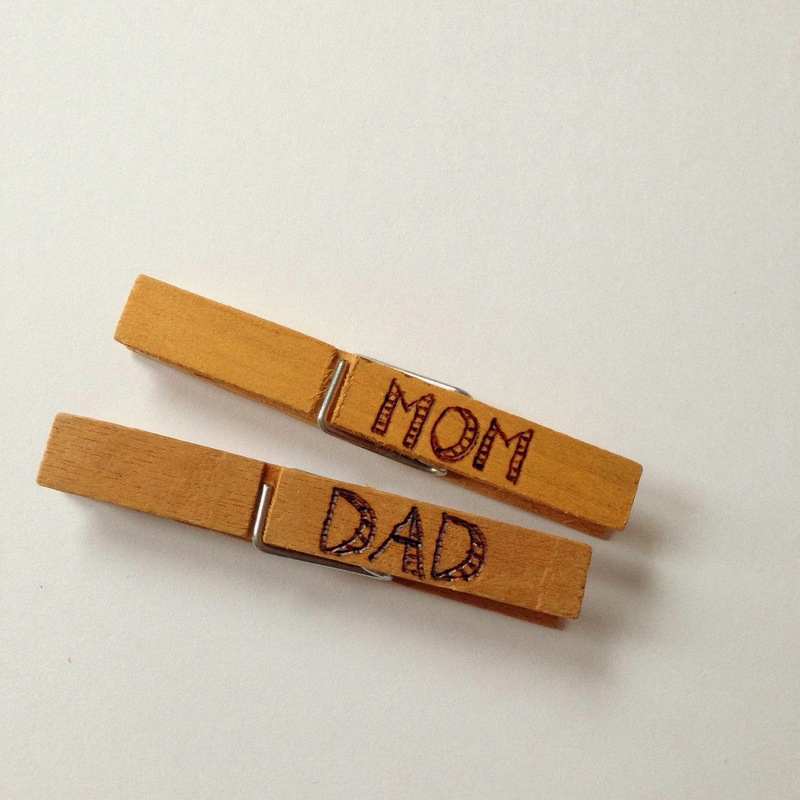 You can, of course, personalize the clothespins with names of your family or friends. 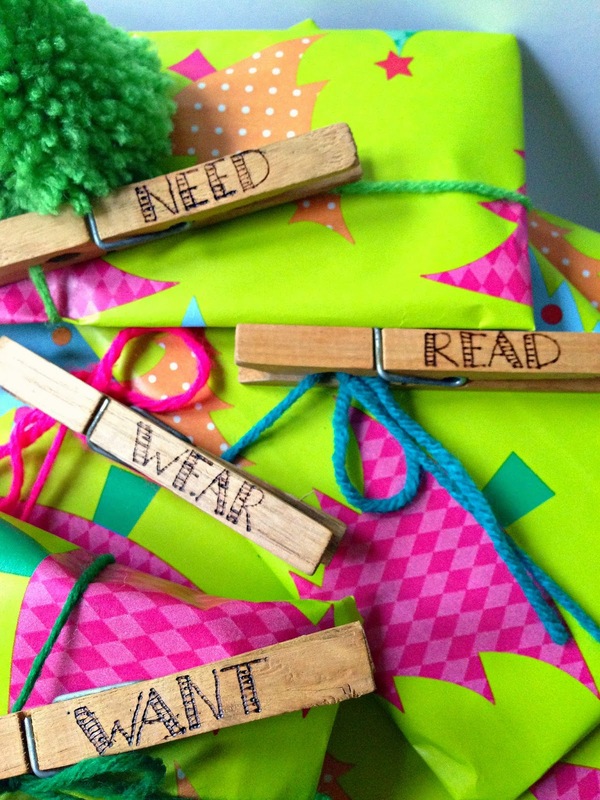 Clip the clothespins onto the appropriate gifts, & you're done!